Using GeoS-5 RTK UHF Evaluation Kit is the simple way to evaluate performance of GeoS-5 RTK GNSS module. 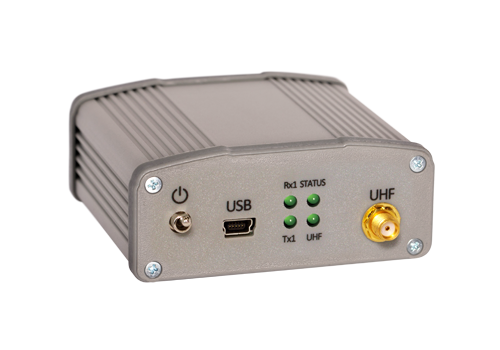 Evaluation Kit includes two units with integrated UHF modems 433 MHz to establish the radio link between Base and Rover. USB interface with power supply capability and compact size make it ideal tool for exploitation in laboratories and outdoor locations.